Culture is a little like dropping an Alka-Seltzer into a glass – you don’t see it, but somehow it does something. 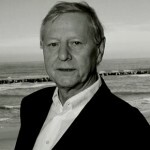 Hans Magnus Enzensberger was born in Kaufbeuren, Germany. He is a German author, poet, translator and editor. He has also written under the pseudonym Andreas Thalmayr. He received his PhD in 1955 for a thesis about Clemens Brentano's poetry. Until 1957 he worked as a radio editor in Stuttgart. Between 1965 and 1975 he edited the magazine Das Kursbuch. His own work has been translated into more than 40 languages. He has written several books include: The Sinking of the Titanic: A Poem, The Number Devil, Lost in Time, Mr. Zed's Reflections, Drawbridge Up, and Tumult.